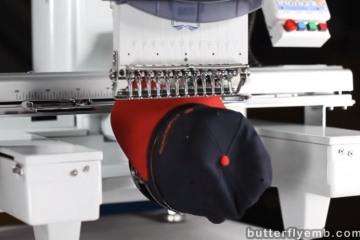 This embroidery training video shows how to check and set needle depth on the Butterfly embroidery machine using a common 6mm allen wrench. 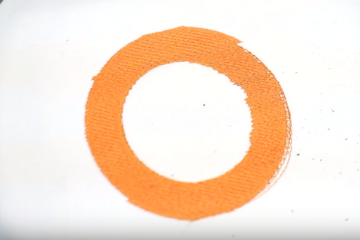 Needle depth is one of the most common mechanical adjustments for embroidery machines, as clamps will lose their grip on the needle bars after millions of stitches, and there may be slippage that adds up. A clamp losing its grip position will happen quicker if you hit a hoop, or something hard, or use a dull needle. 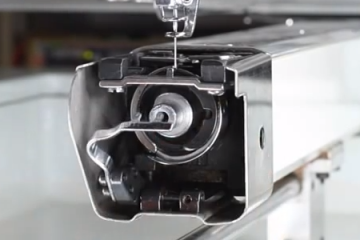 When a clamp is no longer holding its needle bar at the correct height, the needle will ALSO be held at an incorrect height, and it is random thread break time. A needle that is not seated all the way in its socket will give identical behavior to a bad needle depth, so absolutely try to re-seat them with the help of a flat sided tool such as the side of a small hex key, before beginning any depth adjustment process. This is the third video we’ve made about setting needle depth, and uses a common 6 mm allen wrench (or hex key) to set needle depth quickly and correctly. The steps are very easy once you’ve done them a few times, and can be used to check any needle number if one of them is sewing poorly… or you can check all of them quickly, one after another. Even if you are not a mechanical tech, you can still do the basic depth check with these instructions (for the Butterfly). Another video should be watched after this, the stop position video, to fully complete all the required steps. The needle depth video is a prerequisite for the Hook Timing video. Never adjust hook timing until you are first sure of your needles and needle depth!